Assuming the position of Chairman of the Board of directors and CEO in 2001, Miller inherited a company with a history of billion dollar tax evasions and numerous underhand dealings. Working along side Vladimir Putin, Miller pursued far-reaching reforms in the management of Gazprom, driven by a strategy of increasing government ownership, which has seen the Russian state raise it’s shareholding from 38 percent in 2001 to 50.01 percent today. Born in Leningrad in 1962 to a family of German extraction, Miller has a PhD in Economics from the esteemed NA Leningrad Finance and Economics Institute. His first job was as an engineer-economist in the general planning division of the Leningrad research institute of civil construction ‘LenNIIProekt’. Over the course of the decade he would hold an array of public posts bringing him into contact with high-ranking officials. In 1990 he was employed as head of section at Leningrad City Council Committee on Economic Reform and serving in St Petersburg Mayor’s office Committee on External Relations, and from 1991-1996 he served with the Committee for External Relations of the St Petersburg Mayor’s Office under Putin. His first taste of the energy industry was in 1999, Miller held the position of General Director at the Baltic Pipeline System company and immediately prior to his appointment to Gazprom he served as Deputy Energy Minister of the Russian Federation. It was Putin himself who, determined to institute reform in the now state-controlled company, presented Miller to the board, which approved his appointment as CEO and Chairman in June 2001. 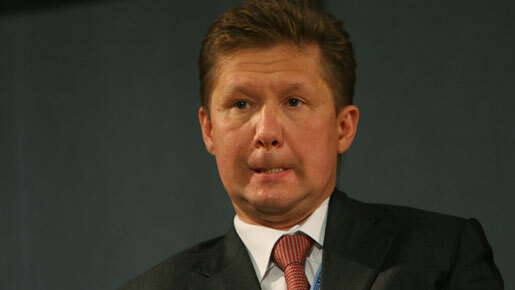 The company recorded steady growth in the first five years of his tutelage, but it was between 2007 and 2008 that Gazprom grew quicker than at any point in its history. The total market cost of all listed Gazprom shares had reached $341.8bn, $8.3bn more than in 2007, and the company leaped from the seventh to the third biggest company in the world. And the company had other grand designs, with Miller unveiling plans for the ‘Gazprom City’ business centre, including a 300 metre high skyscraper, with its headquarters in front of the Smolny Cathedral in St Petersburg. Aside from the sheer scale of these plans, the surprising aspect is that current Russian regulations prohibit the construction of buildings higher than 48 metres. A glance at the figures tells us exactly how much of a job Miller had on his hands. In 2008, the company produced 549.7 billion cubic metres (bcm) of natural gas, amounting to 17 percent of the worldwide gas production. In addition, the company produced 32 million tons of oil and 10.9 million tons of gas consendate. Gazprom’s activities accounted for 10 percent of Russia’s GDP in 2008, with its tax bill providing 25 percent of all Russian taxes revenues. Unsurprisingly, Miller reaped the rewards of his labour. In 2008 the Russian Newspaper Vedomosti reported that Miller earned an approximate $5.3m in total from his various Gazprom-related interests, including $2.8m from his chairmanship of the gas producer’s oil unit, OAO Gazprom Neft, more than $500,000 for being deputy chairman of Gazprom and at least $2m for holding the position of CEO. Wind the clock forward one year and Miller’s ambition has been put in check. Gazprom’s current value stands at $120bn, a 65 percent decline in the space of 12 months. Accordingly its ranking in the global league table has plummeted to 40th place. The bulk of this decline can be attributed to the global economic financial crisis, closely followed by a global recession. In September this year, The Moscow Times reported that Gazprom’s production dropped by 34 percent in the first 10 days of May and exports plummeted by 56 percent in the first quarter of 2009. A far cry from bold statements of world dominating intent, Miller now predicts that production levels will fall by seven percent in 2009 to around 512-523bcm and that income from exports will be $47bn, a decline of at some 30 percent from 2008. Gazprom’s investment program is also expected to fall around 30 percent, meaning that upgrades to aging facilities and most new energy projects, have been put on ice. The start-up of Bovanenkovo – a field estimated to hold 4,900bcm of gas – has been delayed by one year, to late 2012, and Yamal’s gas fields – discovered in the era of the Soviet Union – saw their first launch further delayed. However, reading between the lines, other factors have contributed to Gazprom’s fall from grace. The ongoing dispute between Russia and the Ukraine dispute over unpaid gas bills and the price at which Ukraine buys Russian gas has alerted Europe to the immense bargaining power held by Russia in the European energy sector. This has served to galvanise efforts to reduce European reliance on Gazprom and to diversify other supply sources, to such an extent that Europe is now moving in this direction more forcefully than before, seeking other gas suppliers in other regions and other products including liquefied natural gas. Furthermore, in an irony that is not lost on Miller, energy production may be in some part responsible for its own downfall. In part the consequence of global warming, the winter of 2008 was exceptionally mild by European standards, resulting in a reduced demand for natural gas for heating and leaving many countries’ gas reserves reasonably well stocked. On the one hand under Miller’s intuitive leadership, Gazprom has grown from a Russian company with limited foreign equity into a global transnational corporation. On the flip side he is going to need to draw on all his economic expertise and business acumen to halt the company’s currently free-falling revenues and profits.